Summer school: Number theory and coding theory – contemporary applications in security was organized at Åbo Akademi, Turku, Finland on 28th May -1st of June 2018. The school has aimed at students at all levels (BSc/MSc/PhD) and postdocs. The school has featured 4 introductory mini-courses, special talks, and talks contributed by the participants. 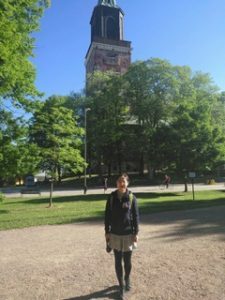 COINS supported Dan Zhang to attend the summer school Number theory and coding theory – contemporary applications in security in Turku, Finland.